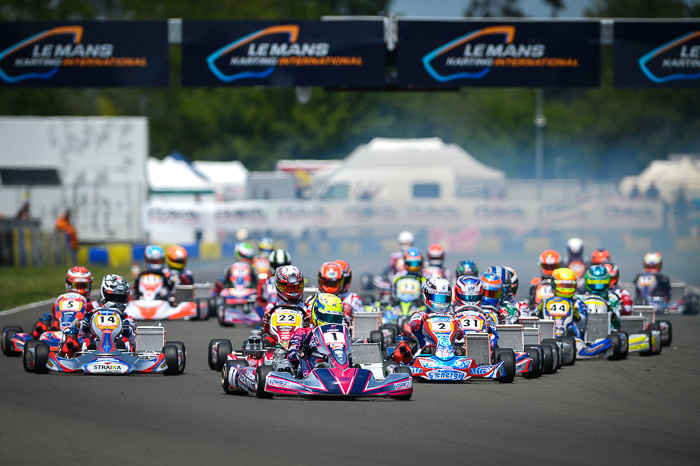 The FFSA is delighted to welcome international participants to its OK and OK-Junior events at Angerville and Le Mans, ideally placed two weeks before each of the two FIA ​​Karting European Championships competitions taking place in France this year. The CIK-FIA has selected two French circuits, Angerville and Le Mans, to start and close the FIA ​​Karting OK and OK-Junior European Championships. The FFSA took advantage of this opportunity to organise two national competitions, two weeks before these prestigious European meetings. "Open" races open to foreign drivers, the French OK Championship and the French Cup for OK-Junior will take place over two meetings and can therefore be used as preparation for the FIA Karting competitions while offering the chance of winning two official French titles. With this in mind, the tyres will be those selected during the CIK-FIA tenders: LeCont LP in OK and Vega XH2 in Junior. France offers every participant the unique opportunity to prepare in the same conditions as those of the European Championship. Note that the national FFSA Karting regulations are now almost identical to those of the CIK-FIA. Entries are now open on ffsakarting.org.